In the latest update to his e-text “Searchlights and Sunglasses,” author Eric Newton highlights important tools that help journalists mine public data. Here’s one way of introducing open data in the classroom. "Data gets a lot more interesting to students when they stop thinking about it as numbers and start thinking about it as clues." The students in the introductory journalism course at the University of Wisconsin-Madison always respond with a collective groan when we arrive at “data week” on the syllabus. They went into journalism for words, not numbers, they say. They’re not even sure they have Excel on their laptop, they say. They just aren’t comfortable with data, they say. And even after they complete our data-driven assignment, those sentiments still hold true for many. 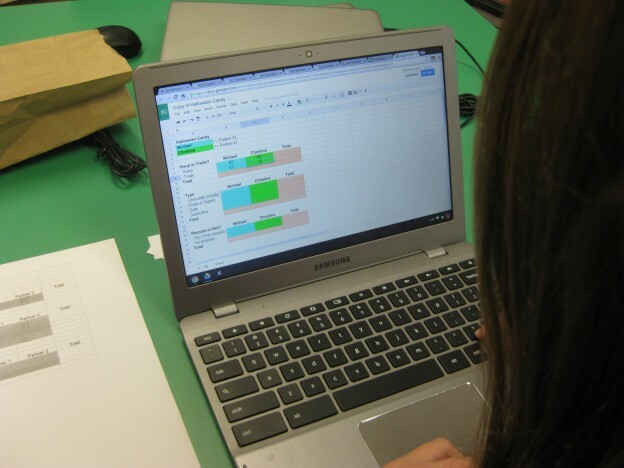 The difference between those who change their tune and those who would still rather write a 1,000-word story than sort a spreadsheet is that some students begin to see the power of data. It was data that helped Washington Post journalists uncover how some investors were using predatory debt collection practices to take away debtors’ homes and then flip those homes for profit. It was data that allowed the Las Vegas Sun to figure out that hundreds of deaths in a single year were due to preventable mistakes — a discovery that prompted Nevada to pass several new health transparency bills. It was data that ProPublica used to track government spending on construction and recovery after Hurricane Sandy devastated the East Coast. Data gets a lot more interesting to students when they stop thinking about it as numbers and start thinking about it as clues — clues that could help uncover important trends, reveal wrongdoing or simply provide the public with information it needs to know. In “Searchlights and Sunglasses,” Newton points out that journalists who “embrace data find rich returns in readership.” But even as learning how to manage data proves to be a worthwhile investment, it is still an investment — one that students do not appear to readily buy into. One tool that might convince young journalism scholars to buy into the power of data is a tool Newton mentions in his book: FollowTheMoney.org. 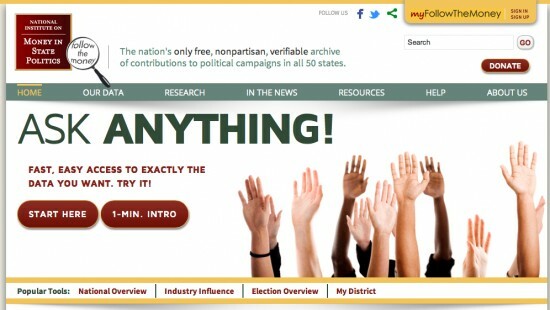 Follow The Money is an effort by the National Institute on Money in State Politics to make information about election spending available to the public. It provides data on election spending from 2000 and beyond, allowing users to look at both those who donate (e.g. individuals, industries) and those who receive campaign contributions (e.g. PACs, candidates, parties). Plus, it’s free. Students can use Follow the Money for free. Campaign finance isn’t exactly an issue that sparks enthusiasm among budding journalists, but Follow the Money makes a dense topic easy to navigate. That’s something that could help students build a healthy relationship with data, as they see that something that initially looks daunting is actually quite straightforward. Feel free to borrow or modify any portion of this three-part assignment. Part one covers the basics of data gathering-and-interpreting, whereas parts two and three ask students to do a bit more advanced work with data. The first part of the assignment is a worksheet that guides students through the basics of working with FollowtheMoney.org. It asks them specific questions and shows them, generally, where to find the answers. This should give them some confidence in using the site, which is generally navigable. After answering the questions posed in the worksheet, the students are asked to craft two leads based on two different facts discovered during the guided tour. If the students are up for a challenge, the assignment might be followed with instructions for them to use FollowtheMoney.org to search and find interesting data that is not mentioned in the guided worksheet. They might create one or several leads based on that information, or write a short, 300-word story based on one compelling trend they identify. And if the students really want to see what they can do with data, a third part of the assignment might be to find 10 points of interest about election money in 2014 and create an infographic using that information. We have used Infogr.am for infographic assignments in the past, though students report that Piktochart is equally useful. The finished product might look something like this infographic about health spending in California that uses data from Followthemoney.org. Mallory Perryman is a doctoral student at the University of Wisconsin-Madison and serves as the lead teaching assistant for J202: Mass Communication Practices, the first course students complete once admitted to the journalism program. She completed her undergraduate and master’s studies at the Missouri School of Journalism. Eric Newton and EdShift curator Katy Culver will be presenting Thursday, Oct. 30, at the University of Missouri’s Reynolds Journalism Institute, covering “Green Shoots in Journalism Education.” Sign up for the livestream to learn more about positive curriculum, course and assignment innovations, including incorporating social media. This is a great use of our website! Thanks for noticing, and if we can help in any way, just Ask Anything!